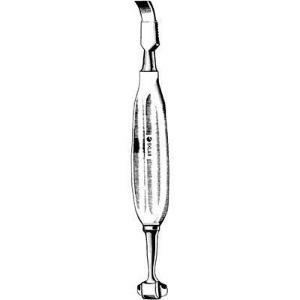 Sklar's® Alexander Raspatory, also known as the Alexander-Farabeuf Pediatric Raspatory, is commonly used for scraping periosteum, cartilage, and tissue from bone. It is a double-ended instrument with one chisel end and one double mallet shaped end. 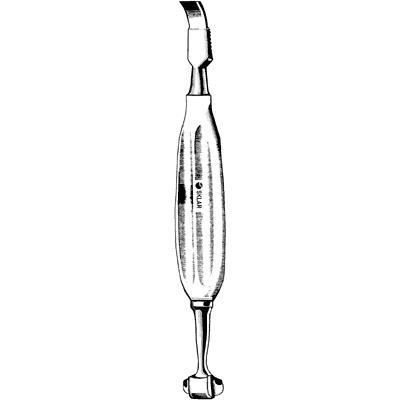 The mallet shaped end is actually has two gouge-style tips that are also used for periosteum removal.